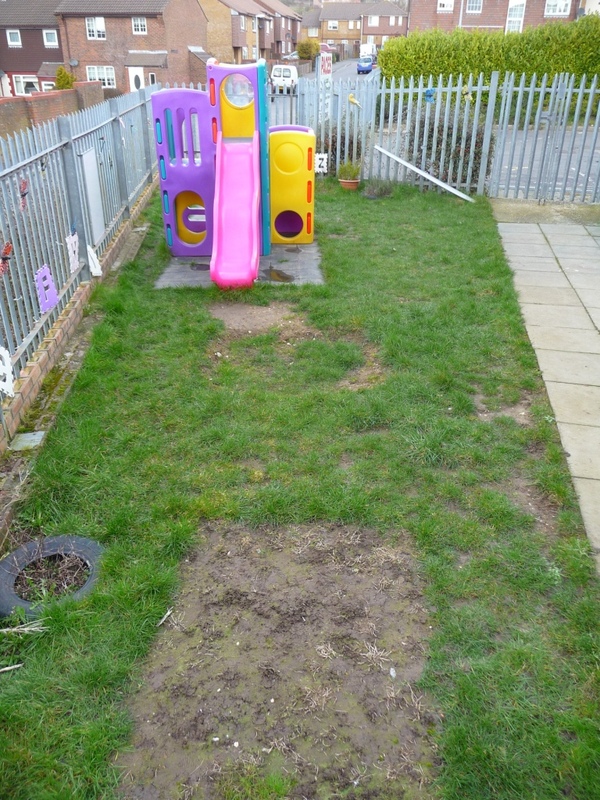 This project was commissioned from Brighton & Hove City Council to improve an area that was lacking the potential to engage the children and get them outside enjoying the space that they had available. 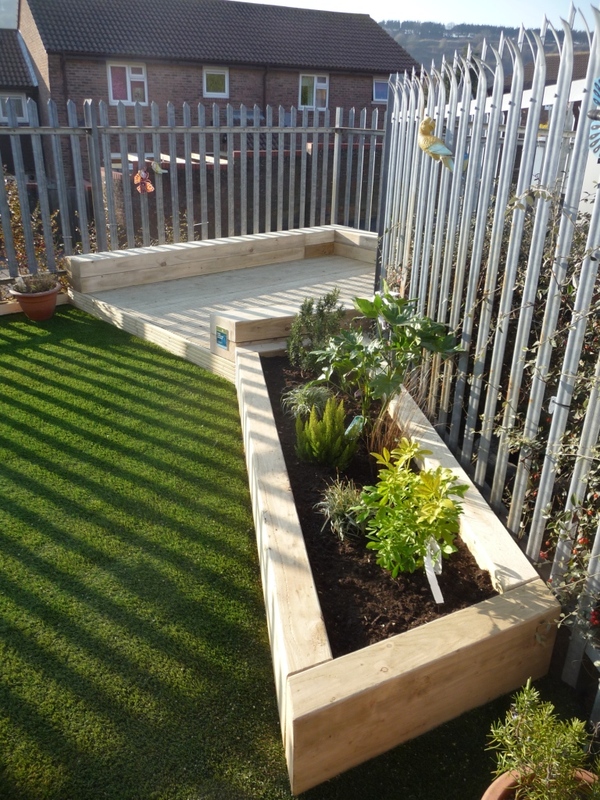 Quite plain and traditional layout that could benefit from the Arbworx touch. After an initial consultation with our client we produced some designs for approval and then got to work transforming the area with minimum disruption to day to day activities. We are always conscious of the fact that we are working in a environment that requires cooperation between all parties to maintain balance between objectives… learning versus construction! 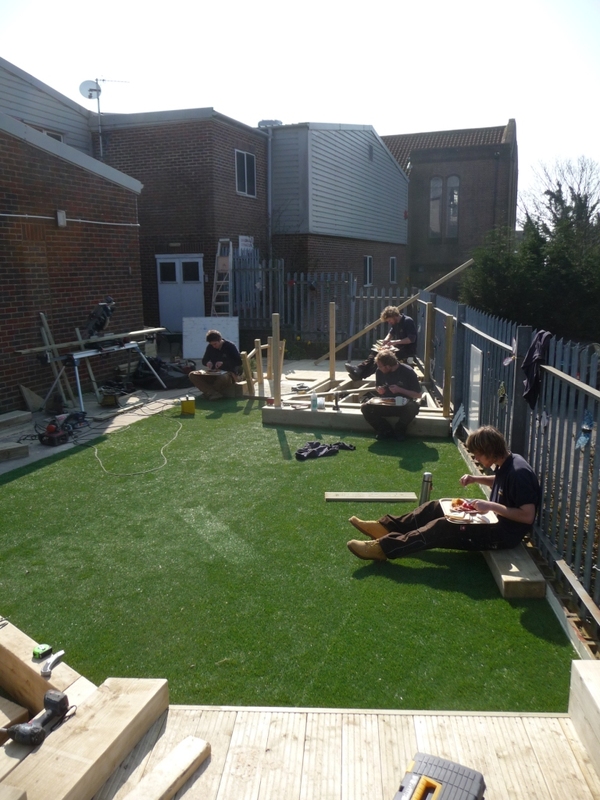 All our play structures are created from scratch to suit the unique location. The Arbworx team take five to have lunch. A hot meal on a cold February day is greatly appreciated. The Arbworx team taking a well earned break. This project was delivered from conception to completion in under three weeks. Our team of staff are able to step up to all manner of seemingly insurmountable tasks. We pride ourselves on going the extra mile to get the results that our clients come back to us time and time again for. Using this bridge and screened are offers a break between the areas offering a chance to create more imaginative play.